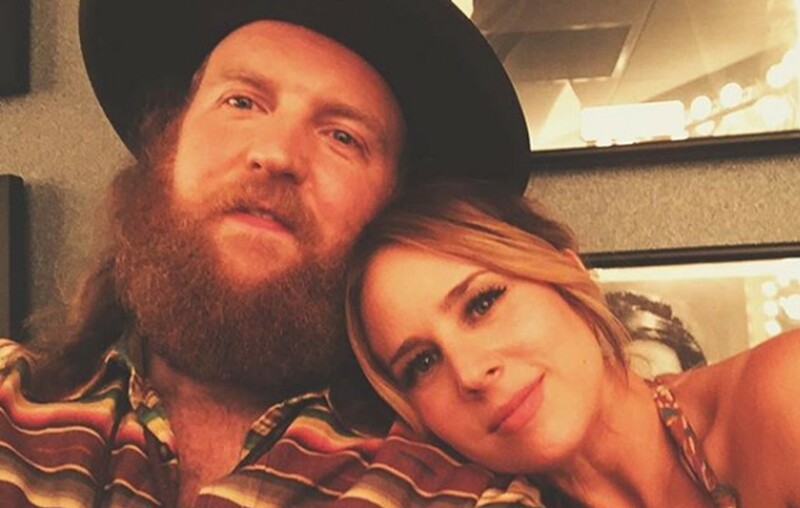 Brothers Osborne member John Osborne and Lucie Silvas met during a songwriting session over a decade ago. More on the married couple here! Brothers Osborne star John Osborne and singer-songwriter Lucie Silvas‘ love story began during a 2007 songwriting session. While the meet-up was all business, Osborne joked that he had “ulterior motives” for seeking a collaboration with Silvas during a 2016 interview with The Bluegrass Situation. “I wasn’t there to write a song as much as I was there to meet Lucie and somehow not make a complete a– out of myself,” the artist joked. Silvas also admitted to the outlet that she was also trying to play it cool during their first meeting, but romance wasn’t exactly on her mind. “The first time we wrote together, I think we were both — well, I’ll speak for myself — I was nervous, I was in a new place, and I was excited. I was trying to impress in lots of ways and just keep my cool. We just had fun collaborating,” Silvas explained. After keeping their songwriting relationship totally music-focused for years, the pair eventually found themselves falling in love. In June 2015, John and Lucie sporadically tied the knot in the most low-key way imaginable— in their living room with only a minister, Silvas’ pal Sonya Jisinski, and country star Maren Morris as witnesses. Yes, they exchanged Ring Pops instead of wedding rings and their dog, Barley, was also on the scene. A few months later, the newlyweds held a not-so-spontaneous official wedding reception and party in East Nashville. These two certainly have their own style and prefer to do things their own way! As can be expected, they are also each other’s biggest fans and celebrated their third wedding anniversary in June. Let’s take a look at some of John and Lucie’s cutest recent moments below! We wish this pair many more years of happiness together!